Today, my official copy of do stuff! came in the mail! I am so excited I could pee. 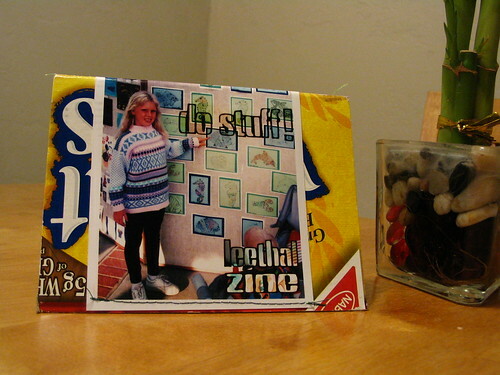 If you are interested in obtaining your own copy of this excellent publication (or if you would like to check out the author’s sweet website), you can find it at leethal.net. YAY! As fun and relaxing as the holidays are for me, their unfortunate downfall is that they necessarily must end. The past (first) two weeks of school have left me with little time for my little craft blog, but fortunately I’ve still had enough (if not as much as I’d like) time to work on crafting! So here’s a little update on what I’ve been doing for the past two weeks. 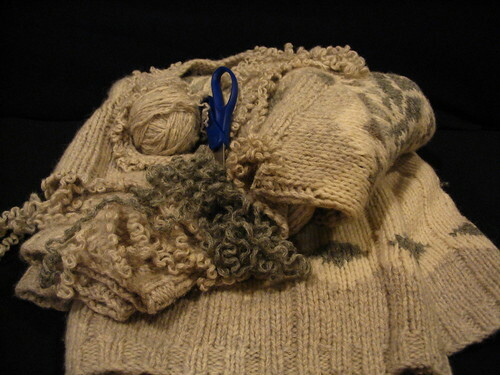 I’ve made quite a dent in the sweater I’m frogging for yarn, and I’m starting to get really excited about dyeing it. Dave, on the other hand, is getting really excited about making yarn balls. Who knew? 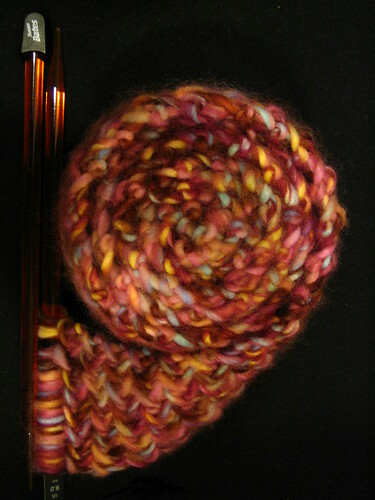 I’m also currently working on this nice scarf for Bianca (who is what one might call scarf-hungry). I realized about halfway through that I was going to need another ball of yarn..and of course I bought the first two whilst at home during Christmas. However, my mom is about a thousand times more awesome/reliable/speedy than Amazon, so I got the ball of yarn she sent me yesterday in the mail, and I’m going to pick up the scarf again this weekend. In case you’re wondering, YES I AM bitter about my books taking so long to arrive..and yes I did go for the expedient shipping. This week I started making my first pair of mittens ever! I don’t really think they’ll be entirely practical in Tucson, but I’m really excited anyways! Actually, things don’t fall apart. 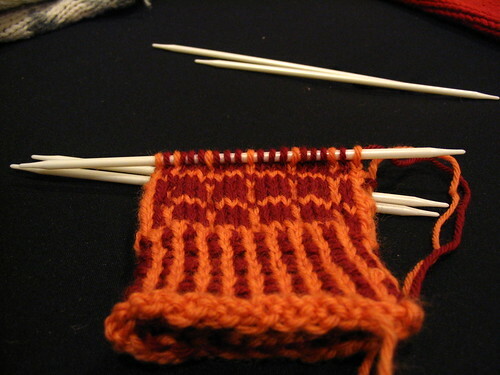 Frogging that ugly sweater I bought is turning out to be a lot more difficult than anticipated. Maybe there’s some secret method people use about which I know nothing? I’m not really sure, but what I am sure of is that the seams holding this sweater together make frogging it a pain. I’m ending up with a bunch of little pieces and that one ball shown in the picture. I’ll probably have to tie the pieces together or something. 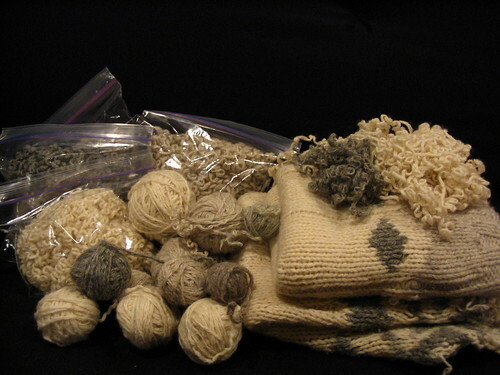 Even though it’s not as easy as I thought, I’m definitely looking forward to dyeing the yarn once I finish! Apart from doing some serious ugly-sweater-frogging, last night I made some cookies! Aren’t they pretty? Lindsay and B came over for some post-break hanging out, and the five of us ate a ridiculous amount. This is all that was left of the 4 dozen I made at the end of the night. 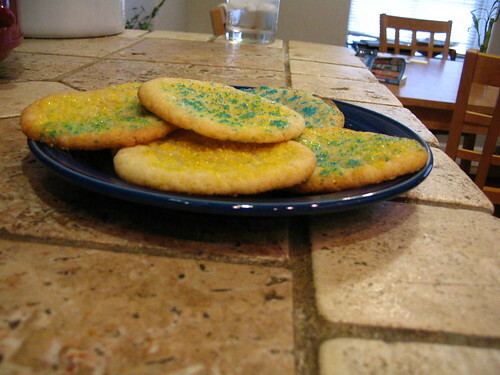 I LOVE sugar cookies. I remember this cookie store in the mall that had amazing cookies a lot like these, but I never could find a recipe that even came close to duplicating them (and trust me, I tried). Most of the sugar cookie recipes out there require cutting and frosting and all that. This recipe was really easy and SO delicious. I feel like I’ve completed a life mission or something. Mmm. 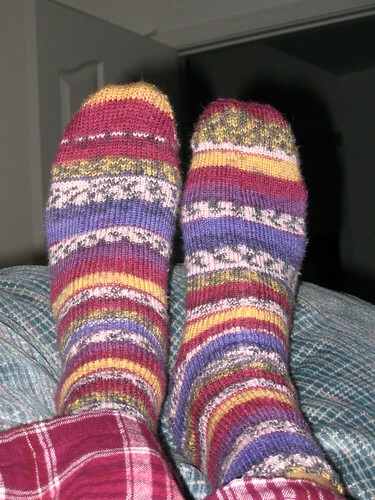 I just finished my second pair of socks, and I’m THRILLED. Now I just need to go out and buy some shoes that show them off! Aside from simply baking the cake, I went a little crazy with the frosting. I don’t know the first thing about cake decorating (I’m sure it probably shows), but I had a really fun time! 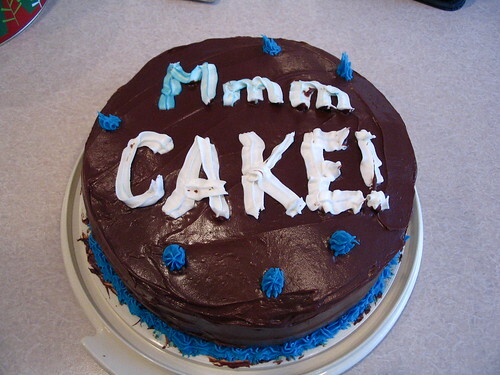 ..not to mention the fact that everyone else thought my cake quite glorious. 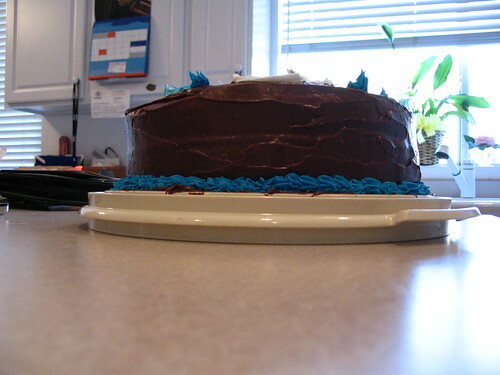 Everyone in the house decided it was necessary to have a picture of the cake. I guess that makes quite a statement! :o) The best part is that it tasted as good or better than it looked. Excellent. 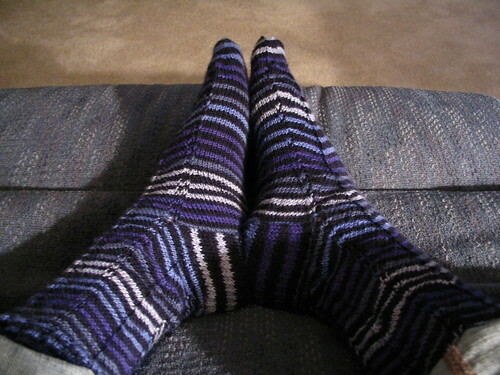 I finished my very first pair of socks a few days ago! ..and then I, of course, proceeded to wear them proudly around the house. Neither one fits quite perfectly (in different ways, even), and somehow the pattern is flipped on each of them (don’t ask, I pulled the yarn the same way from each skein), but they’re finished and I’m excited! I’ve already started a second pair. 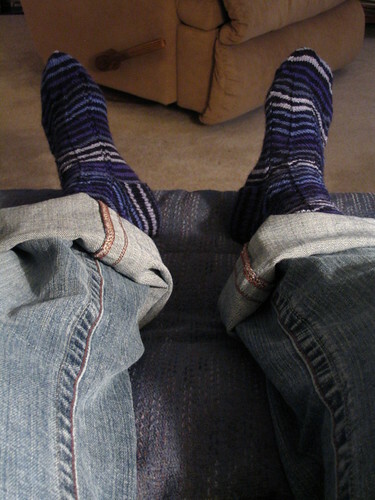 :oD They’re top-down instead of toe-up, and they’re coming along quite nicely. So I did end up using that tutorial to make another zipper bag..and it turned out slightly better than the two I made on my own. However, who cares? 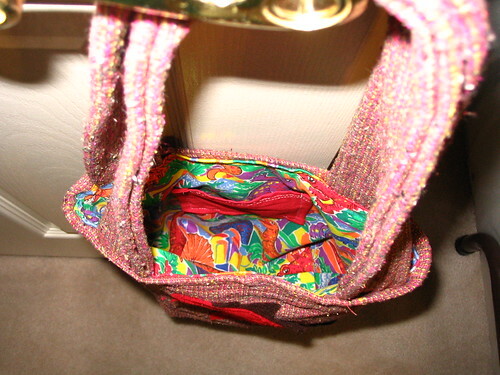 I just finished the most amazing purse in the history of the world. This is it! 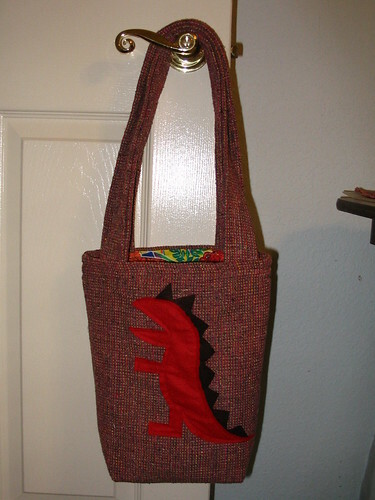 Yes, it’s a dinosaur purse. Roar. Here’s a view of the inside. 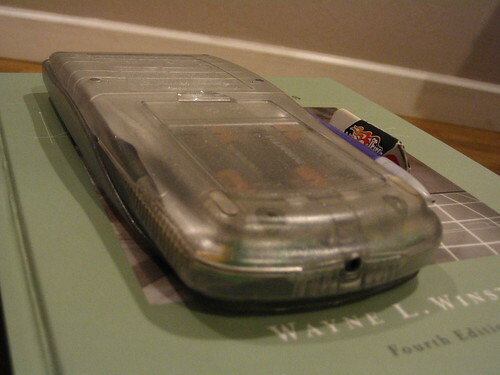 I found this great dinosaur print material in my mom’s stash, and I added a little pocket for chapsticks, mirror, etc. :oD I AM SO EXCITED!